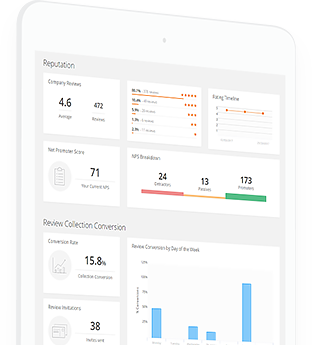 Our powerful yet user-friendly review collector gives your customers a simple, pain free way to quickly leave authentic reviews, without logging in. 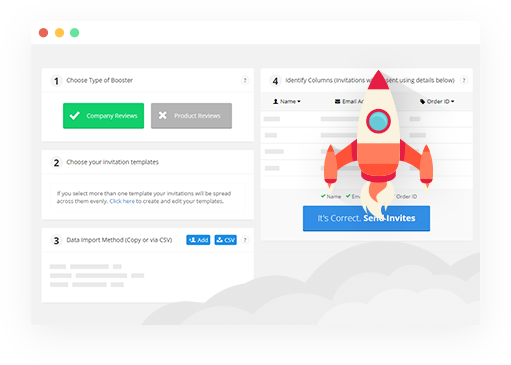 Your fully customised and A/B tested email invitation templates let you stay on-brand while enjoying phenomenal review conversion rates. The best collection rates in the industry, backed by data from years of customer interactions. We know when your customer is mosly likely to leave a review so you can be sure to get to your reviews target quickly. 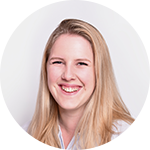 Useful, engaging and well-designed emails produce better conversion rates. 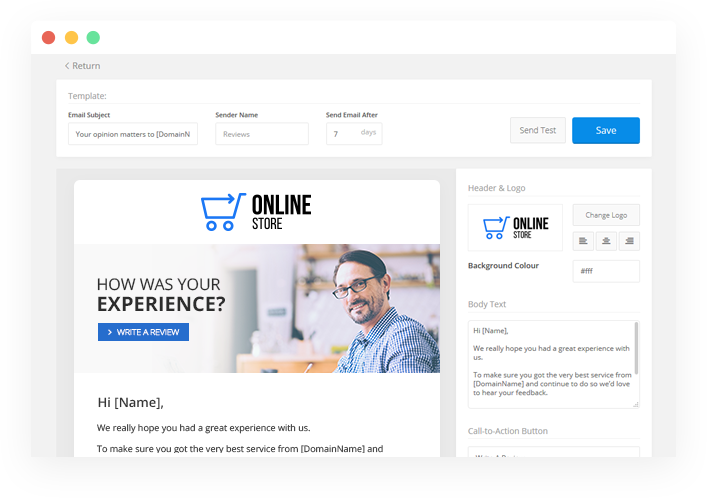 We give you the power to fully brand your customer emails with our handy WYSIWYG editor, or you can delve into the code for full customisation. With unlimited AB testing as standard, you can test multiple messages and schedules to produce the best results. Ask for Company Reviews, Product Reviews or even both in the same email. Beautiful emails are one thing, but your customers demand a really quick, simple way to write their reviews on the go, without logging in. 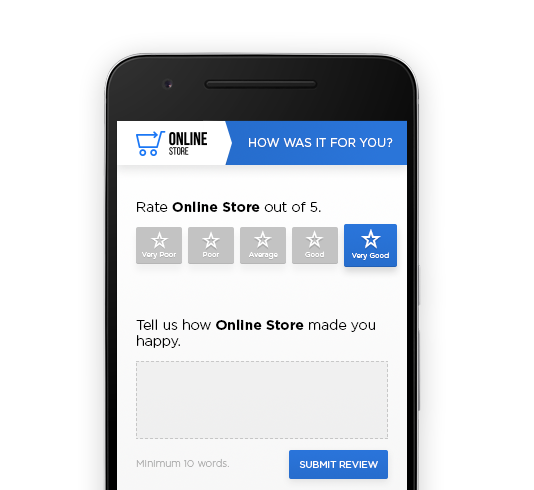 In just a few clicks or taps, they can easily give their feedback with a star rating and their comment, producing valuable user-generated content for you. Customers can upload photos from their smartphone in seconds, giving candid shots of your products as part of their review. Reviews with photos can generate up to 30% more traffic to your product pages, with double-digit increases in conversion from Google Shopping. 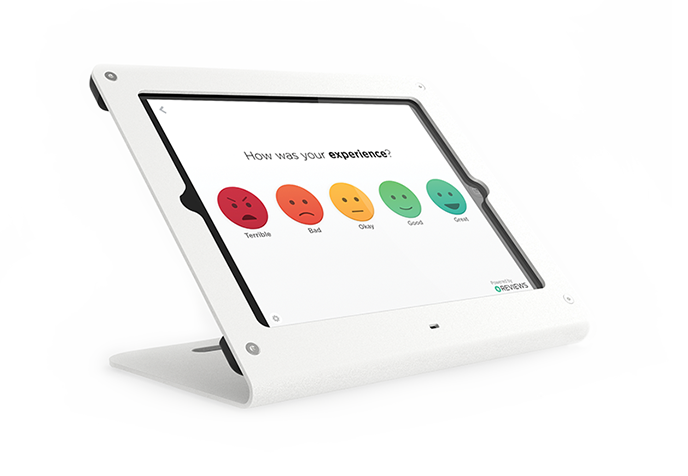 In-store review collection for immediate results. Just set up a tablet and we'll link our app to your Reviews.co.uk account, ready for fully-branded in-store review collection. Simple. You dont need to wait for new orders before collecting reviews. 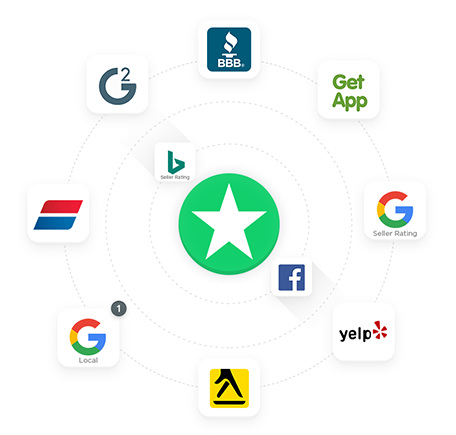 Automatically contact your past customers in bulk to get a head-start on review collection, pushing you to the coveted Google Seller Rating status quickly. 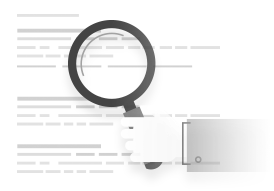 Direct customers to write reviews on a range of third parties sites using our automated technology. 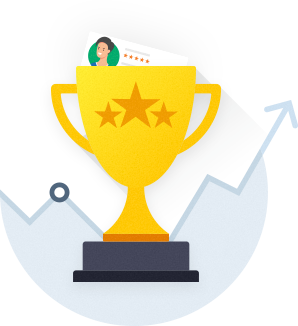 Boost your overall online reputation score across the whole web, not just in one place. An inconsistent reputation sows seeds of doubt in potential customers' minds, something your business cannot afford.